It's an extreme dining experience: 18 feet under the icy sea on Norwegian coast. Restaurant Under, as it's called, opens Thursday. It has a set menu that will rotate seasonally, but expect to see lots of fish and shellfish, plus food from the beach outside like sea arrow grass, sea rocket and salty sea kale. The local area is known for wild mushrooms and berries, and those will be used on the menu as well, according to the restaurant's web site. 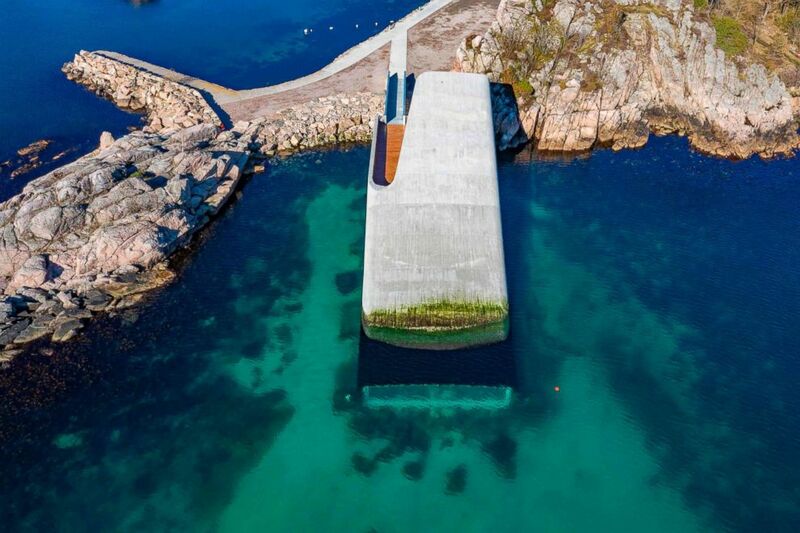 (Erik Schroder/NTB Scanpix/AFP/Getty Images) Aerial view shows a restaurant named Under, that is semi-submerged beneath the waters of the North Atlantic in Lindesnes near Kristiansand, Oslo, Norway, March 19, 2019. Restaurant Under calls the food's journey from kitchen to plate "minimal." 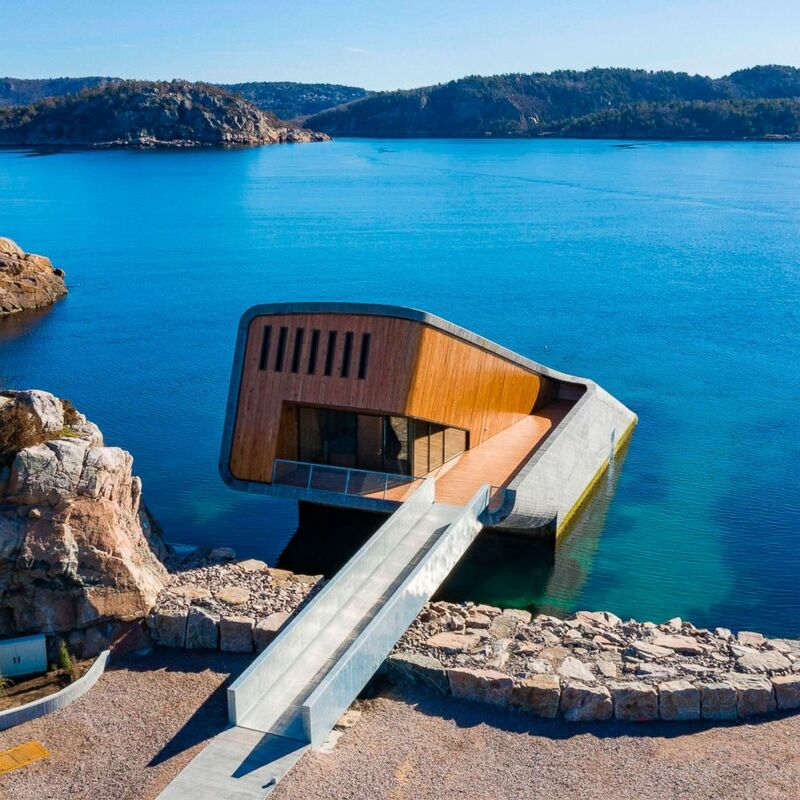 According to Visit Norway, "Under" in Lindesnes is Europe's first and the world's largest underwater restaurant. 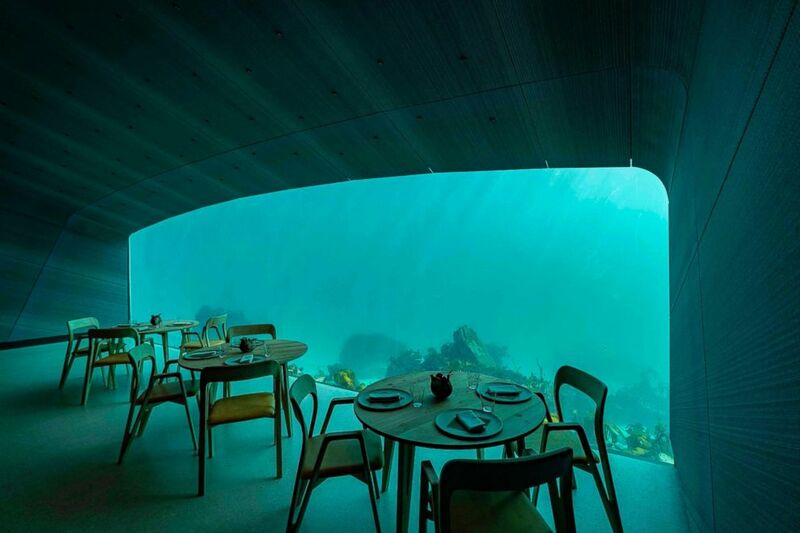 (Erik Schroder/NTB Scanpix/AFP/Getty Images) A restaurant named Under, that is semi-submerged beneath the waters of the North Atlantic in Lindesnes near Kristiansand in Oslo, Norway, March 19, 2019. 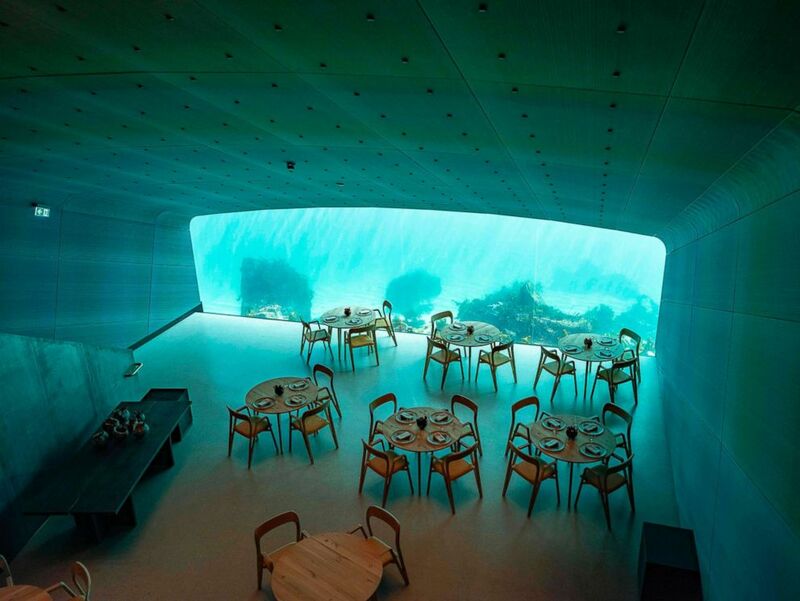 (Erik Schroder/NTB Scanpix/AFP/Getty Images) Interior view of a restaurant named Under, that is semi-submerged beneath the waters of the North Atlantic in Lindesnes near Kristiansand in Oslo, Norway, March 19, 2019.